Metal Earth ICONX Millennium Falcon | From steel sheets to a museum quality 3D model! From steel sheets to a quality 3D model! 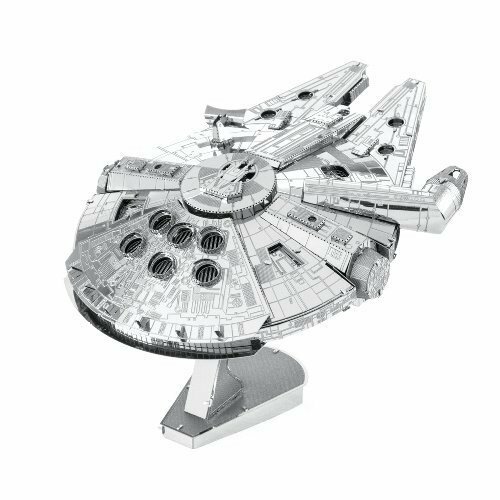 Make a big impression with our premium quality DIY model of the Star Wars Millennium Falcon from the new film ƒ? ?The Force Awakensƒ?�! 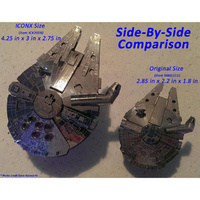 Despite her humble origins and dilapidated exterior, the Millennium Falcon is one of the most famous starships of all time. And now you can make her your own! 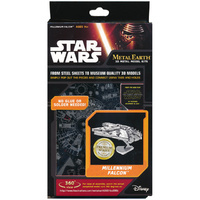 Your model starts off as 2 flat-packed, laser-etched sheets of metal. 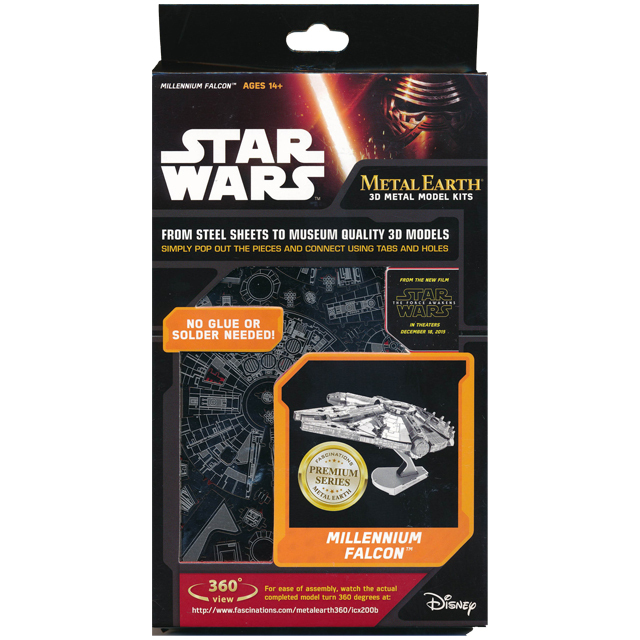 Gently remove the pre-cut parts from the metal sheets and use the easy to follow illustrated instructions to assemble them together by connecting the tabs and twisting to secure in place! There's no glue or solder needed! 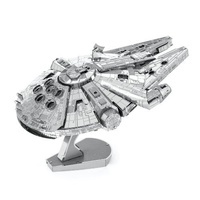 This is the larger of the two Millennium Falcon models available in the Metal Earth series, you can view the smaller model here. Please note: Tweezers or other tools for handling small parts can be helpful. Patience is required! Build your collection today. Difficulty level: moderate (around 4 hours to build in one sitting).